Just in time for winter is this lovely fuchsia velvet sparkle dress from Bonnie Jean. 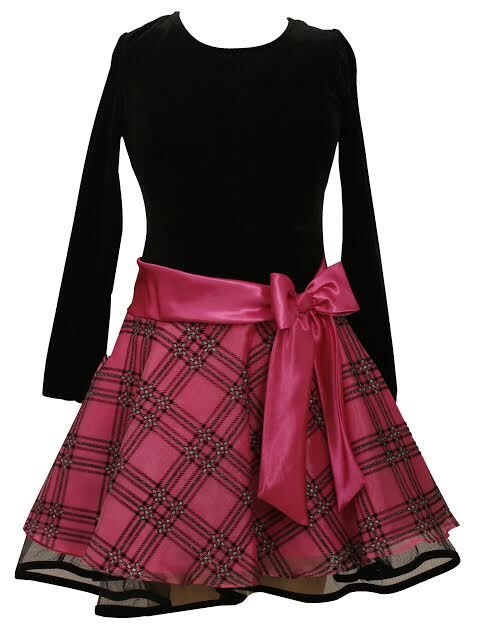 The pretty dress features a fuchsia skirt with a traditional design throughout. The top of the dress features black velvet with long sleeves. Simply adorable for the Christmas season.